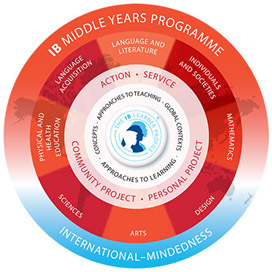 What is the IB Middle Years Programme? Melba Copland Secondary School is a candidate school for the International Baccalaureate Middle Years Programme. The International Baccalaureate offers a continuum of school programs, including the Primary Years Programme and the Diploma Programme for matriculating Year 11 and 12 students. The Diploma Programme is offered on our college campus. What does the MYP Look Like for Students? Ensures breadth and depth of understanding through study in eight subject groups. All subjects for the Australian Curriculum will be taught through the MYP framework. 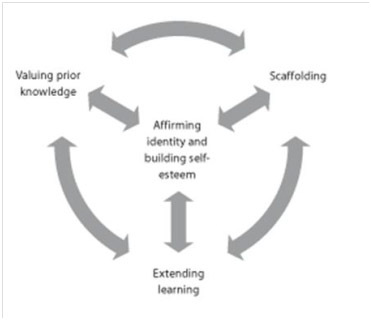 The curriculum contains eight subject groups together with a core made up of five areas of interaction in one of the core areas of the programme: Approaches to Teaching and Learning. In years 9 and 10 students undertake a personal project, requiring their own design, research and presentation of ideas. Assessment is criteria based. The criteria are consistent with those in the Australian Curriculum for subjects developed so far. In each year, students are assessed against international agreed assessment standards. Australian Curriculum grading will also remain in place. The school will provide certification against MYP achievement standards in Year 10. Service components will also be recognised. A vital part of the student journey through MCSS has been fundraising and contributions to community events and causes. The MYP supports a community of service culture, encouraging students to contribute to their school, local and global communities. What does Teaching in the MYP Look Like? Teaching is inquiry based and focuses on conceptual understanding. Both the IB and Australian Curriculum require differentiation to enable all students to access the curriculum. Resources are provided for students with special needs. 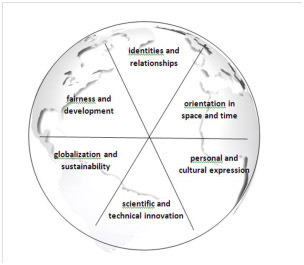 Attention to global contexts is a feature of an IB education. The diagram shows identified global contexts suggested for unit planning. Teachers are encouraged to consider wider global contexts in their teaching and the learning experiences of their students. Reflection and international mindedness are component parts of our curriculum. Training is provided by the IB and teacher’s qualifications are then recognised across the world. There are many opportunities for work in international schools for IB trained teachers.